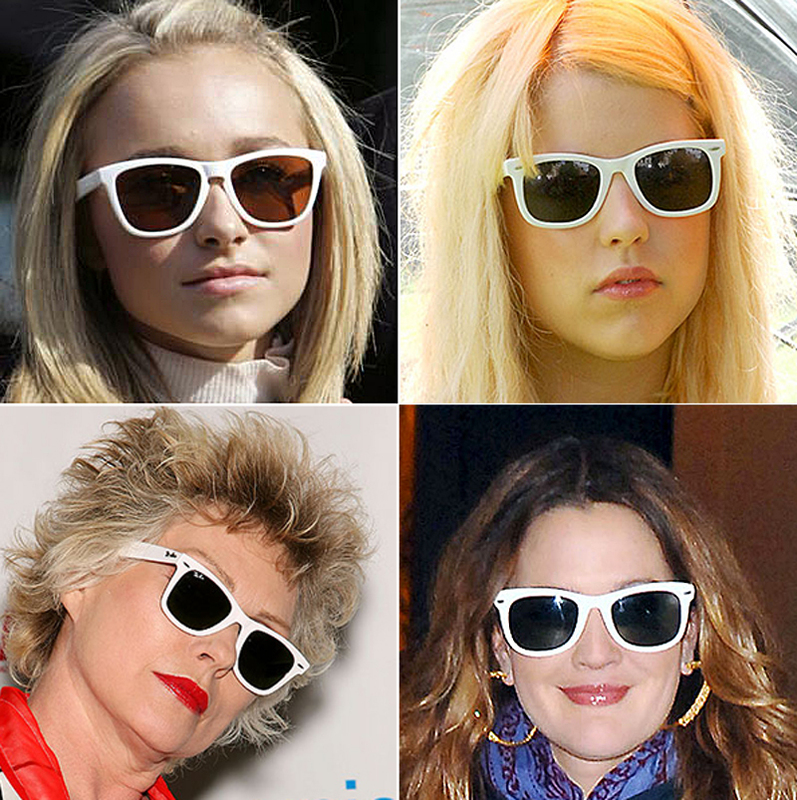 I'd hate to have another Lauren Conrad thread but...I have a sunnglasses ques! I know most are inclined to say Ray-Ban--but are they? I have tried on the larger Ray-Bans--However, the larger Ray-Bans tend to have a thicker frame not a larger lens which the ones in that picture do have. I just think they could be something else....anyone have any insight? Next question: Are these sunglasses so over and should I scrap getting them? I really do love them. Those don't look like rayban wayfarers to me. I know many brands make that shape so I'm sorry I can't offer you much help. Does anyone else have any insight? It could just be one of these types that are by Urban Outfitters, but aren't actually Ray-Bans.